Jo Alcorn’s clients had a problem. 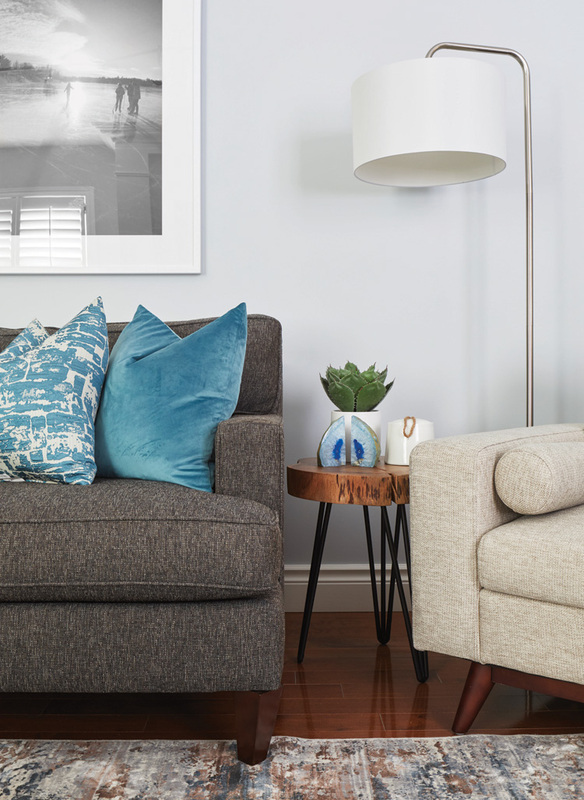 The Ontario-based designer behind Alcorn Home—a brand of housewares including lighting, furniture, and easily washable dog beds—could see their family’s TV room wasn’t doing them any favors, emotionally or comfort-wise. “It was just kind of lackluster,” says Alcorn. “We had finished the other rooms in the house, and this became the eyesore that stood out. 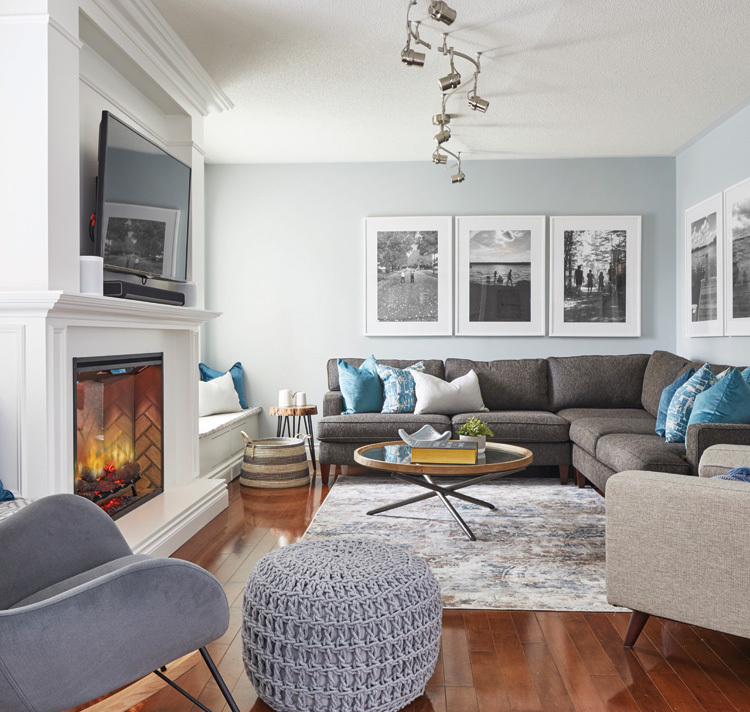 It had a builder fireplace and a three-seater sofa on one wall that wasn’t conducive to cuddling with family to watch TV properly.” Her directive: make it a showstopping lounge area all ages could love.